Instagram isn’t the only place to celebrate The Riordan. Every once in a while, you gotta go tactile. We’re talking about bricks . . . and mortar, too! 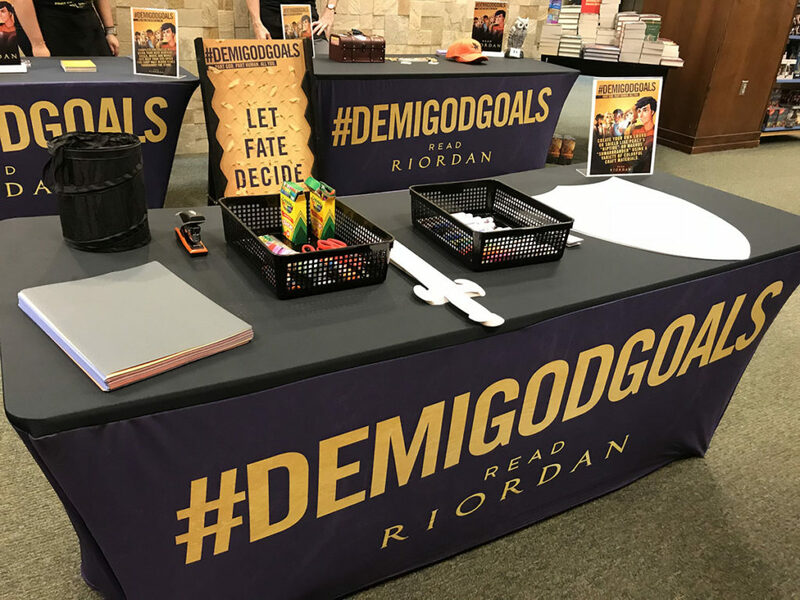 That’s what we did this fall, with a short series of unique #Demigodgoals bookstore events. 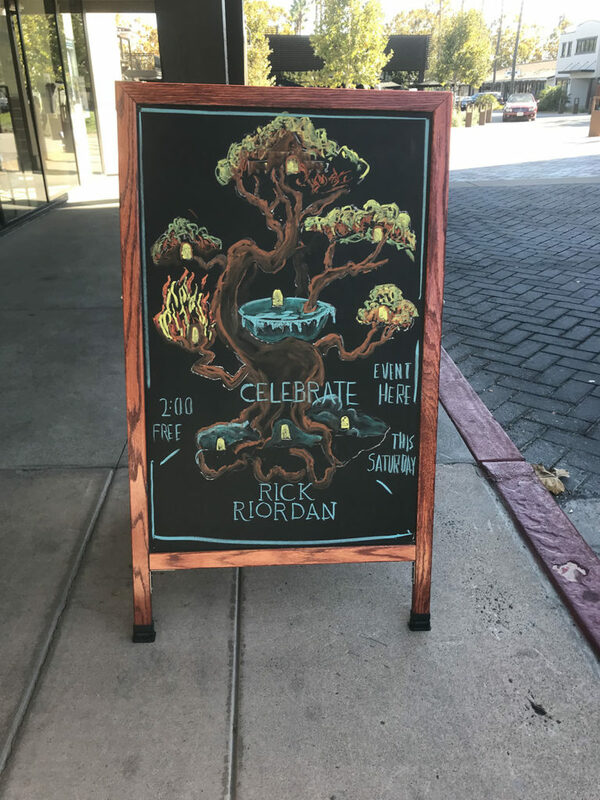 Thanks to our gracious hosts at Tattered Cover in Denver, Colorado, Barnes & Noble in Frisco, Texas, Copperfield’s in Petaluma, California, and Books, Inc. in Campbell, California for taking care of so many Riordan fans. Many fans drove long distances to spin the Wheel of Destiny, learn how to write their names in Greek, and play special Myths and Legends trivia. There were stacks of Riordan books for sale with special signed book plates, Camp Half-Blood T-shirts to be had, and scavenger hunts to be won. See below for some photo highlights and keep an eye out for our second annual #DemigodGoals events next year! This masterful chalk art sign invited guests into Books, Inc. in Campbell, California to take part in all the Myths, Magic, and Mayhem. 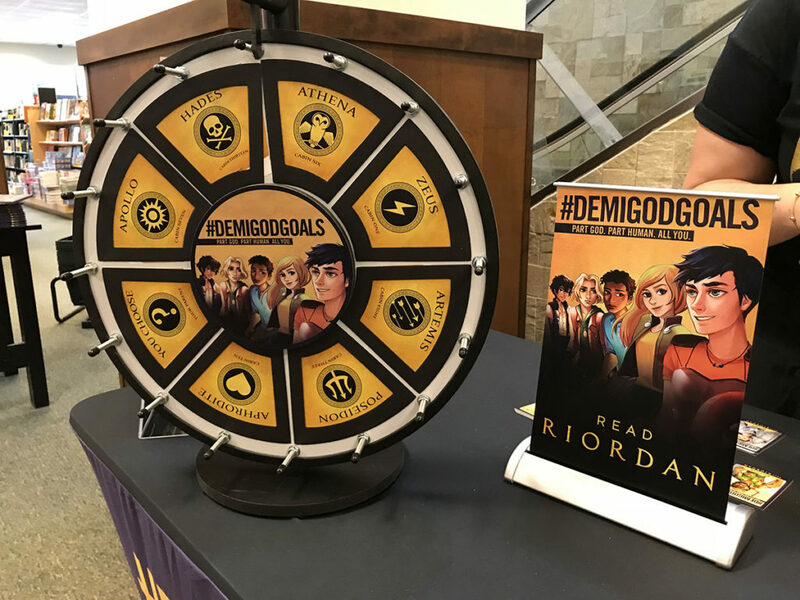 The Wheel of Fate was a popular attraction at the Barnes & Noble in Frisco, TX, assigning a godly parent and a Camp Half-Blood cabin. 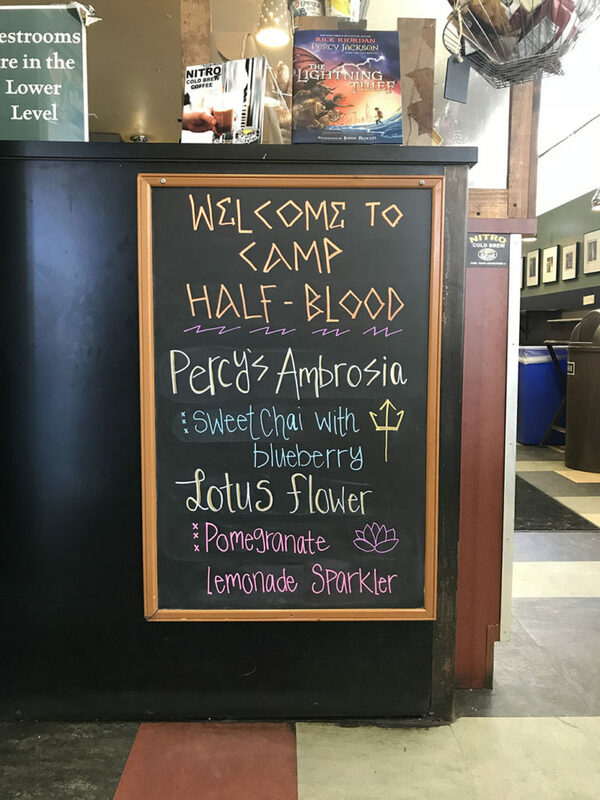 There were special drinks available at Tattered Cover in Denver, CO for all the thirsty demigods in attendance. Guests could play a round of “Let Fate Decide” before decorating their own swords and shields.